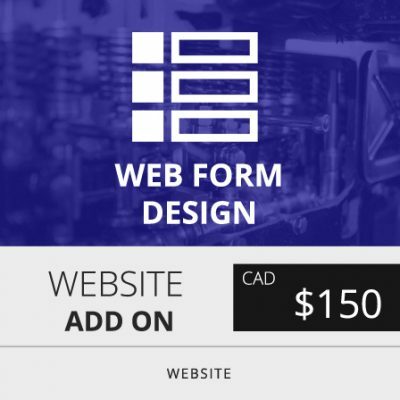 Up to 20 Field responsive mobile freindly web form design for your website. The form will have the feature to send out direct email to your inbox when filled and submitted. It has security captcha code and can be redirected to a thank you or a payment page upon submission. Conditional login included for standard Gravity Forms. This add on is best suited for customers who require long forms for their customers especially for therapy professionals, clinics, real estate buyers, sellers and investors etc. NOTE: Any payment to the third party form application must be directly paid to the third party developer. This is important especially with Gravity Forms to get your form license. Increase your conversion rate by using Live Chat feature. 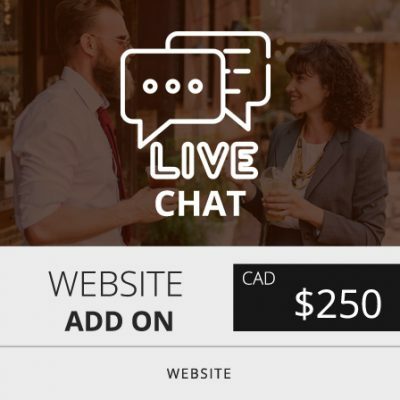 Get a LIVE CHAT feature on your website so that your web visitors can connect with you instantly. Answer their questions and queries right away. 1 Agent Profile included along with unlimited chat. When you choose to be offline the Live Chat feature offers instant email that web visitors can send via the chat box. If you require a specific chat feature then please make sure to create a paid account with the developer so that we can integrate it to your website. If you are catering to internation web visitors then you may want to add Language Translator to your website. We offer Google enabled translation application where 50+ Languages can be translated instantly. The translator feature can be available in all 50 lanuages or your choice of selected languages. Our translator uses Google Translate which is becoming one of the most advanced technology online for translation. The translation application will show flag specific to the country next to the language name. 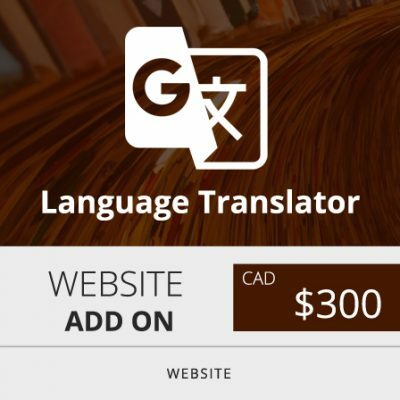 This language translator has absolutely null impact on your page loading time so the translations are produced instantly. Now you can capture more leads with landing pages. Increase your sales online with a one page lead capturing technology. These are also known as squeeze page or email opt-in or sales page. 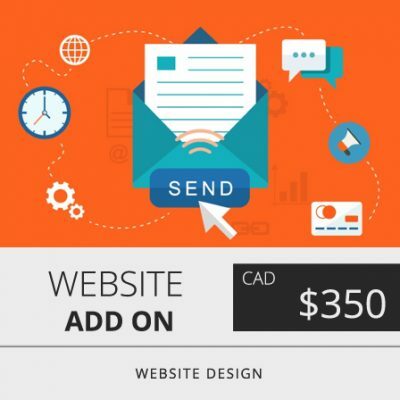 You must have an existing website or a valid domain, hosting, email marketing application, payment gateway (if you want payment option) and the necessary content such as pictures, videos and text prior to purchasing this add on. You landing page will be Search Engine Optimized so that it can be promoted via paid advertisements on Google AdWords or on Facebook. 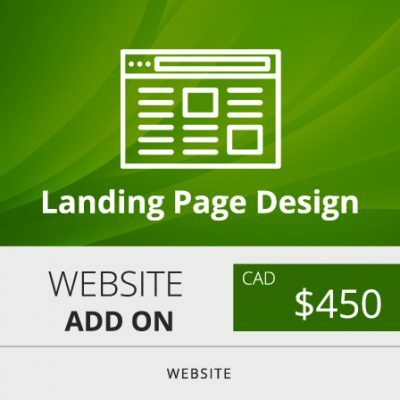 We recommend landing pages to every business that want to grow fast. Grow your business faster online with leading capturing system using email marketing and list building tool. Start getting opt-ins using email subscription box by offering an ebook, video or know how tips in exchange of your web visitors name and email, thereby building your consmer list, sending periodic newsletters and selling more. This technique helps in customer retention and you can scale up your business. We use double opt-in process where the subscriber has to confirm that they want to receive emails from you. The procedure followed is according to the CAN-SPAM Act. NOTE: Any payment to the third party email application must be directly paid to the third party developer. If you are looking to start a podcast online, we can help setup the podcast on your website. The podcast can be published on iTunes, Spotify, Blog, YouTube and many other avenues depending on the third party application you choose to work with. 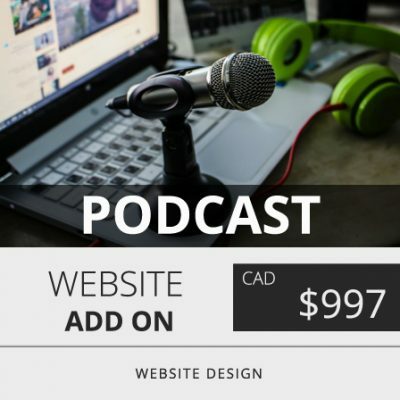 We will design a new cover for your podcast (1 Revision) and will setup the Podcast Title, Description, Tags, Meta information, contact details, content policy, authorship and auto syncing using live feeds from your blog. The podcast player will be integrated to your website for further marketing. Do you want to share your Soundcloud clips on your website or may be share your YouTube Videos all at once using a video gallery feature, then we can help integrate this great feature for you. 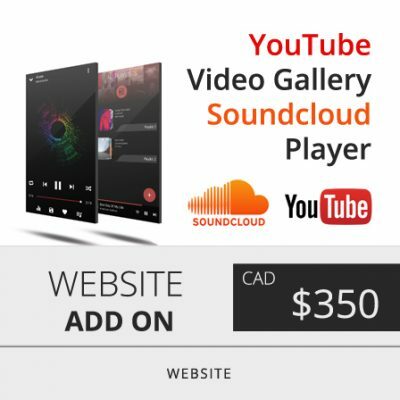 With Soundcloud app installation or YouTube Video Gallery (channel or playlist) integration, your web visitors can easily listen or watch your content. The integration works on the API and we will require your login information to complete the installations. Get more shares, likes, comments and views today! Live feed box integration on your website where web visitors can see and enagage with your social media network through your website. We can help integrate your Twitter / Facebook / Instragram live posts on your website. This is a great tool to display social media enagagement on your website. Please make sure you have existing Facebook / Twitter / Instagram accounts. We will require your login information to integrate this add on feature. Each integration is $99. 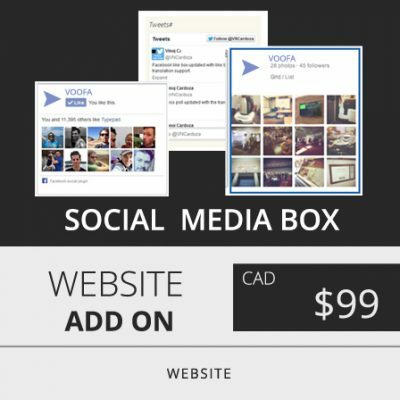 We will discuss with you the positioning of social media box prior to the integration.